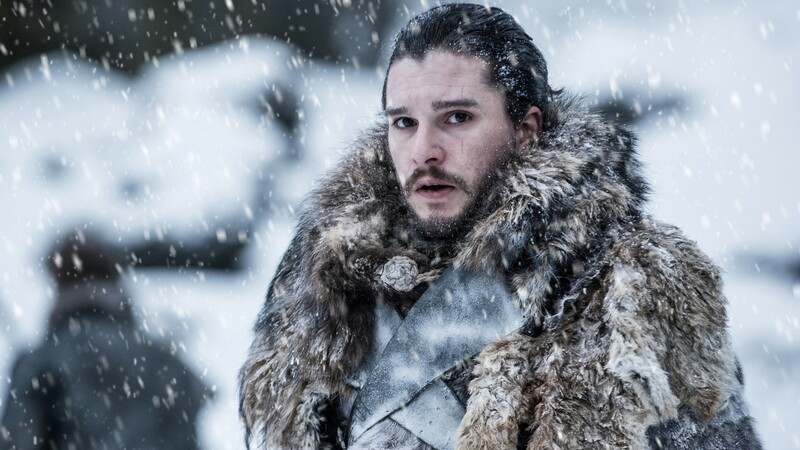 Kit Harington has dedicated nearly a decade of his life to Game of Thrones, pouring his blood, sweat and tears into making Jon Snow the iconic character of our generation. And now, as the show marches to its final climactic ending, we find out Harington came this close to giving the ultimate sacrifice to the series: namely, his testicle. More specifically, his right testicle. In “Game Revealed,” a candid behind-the-scenes mini-documentary of the season 8 premiere, showrunners and stars Emilia Clarke and Harington showed fans exactly what goes into a dragon riding scene. While Clarke has had years of practice a buck, the green screen mechanical bull like contraption that stands in for a dragon, Harington was a true novice. While his dedication to the craft and the scene is commendable, the well-being of Harington’s privates is paramount. Thankfully, disaster was avoided and fans, Harington and his testicles can all breathe a sigh of relief. Catch Game of Thrones on Sundays, 9 p.m. on HBO.